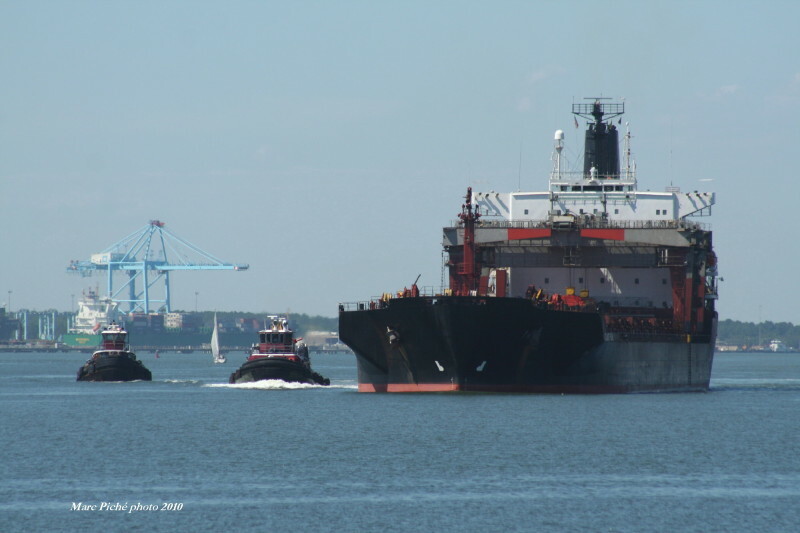 ATLANTIC PEARL as shown while inbound on the Elizabeth River off Norfolk on September 14, 2010 with her accompanying tugs. Thanks William for the information. Location info has been changed accordingly. Marc, the five pictures you have of the Atlantic Pearls location (9-14-2010)is incorrect, should be Norfolk/Portsmouth, VA. This photo has been shown 2,618 times since it was added to the site.